PNDC promotes Mercer County, Pennsylvania to companies and corporations nationwide who are looking to expand and grow their businesses. They work with these firms to secure incentives, tax breaks and low-cost or free land to facilitate this expansion. 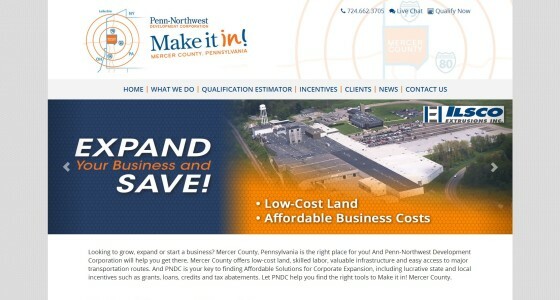 Farris created a new micro website, along with direct mail materials, that highlight the many ways in which Penn-Northwest can help business who want to grow in Mercer County.